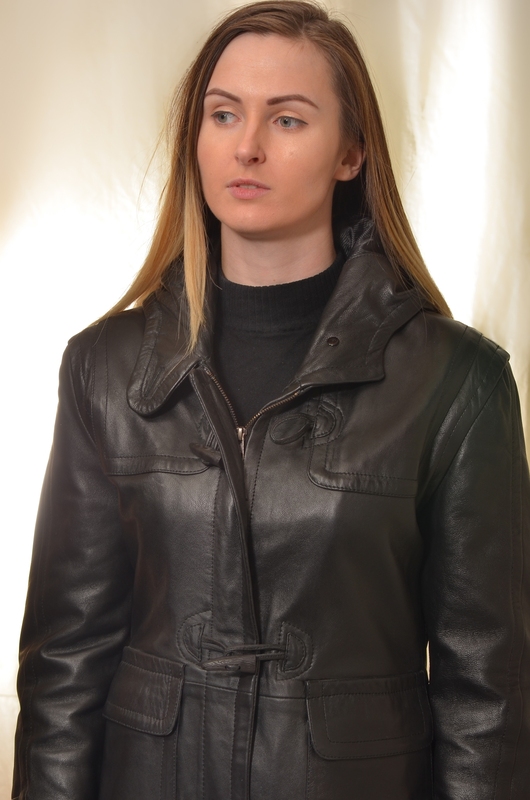 Women's extra long, soft quality black leather duffle coat, made from fine quality Lamb Nappa skins. 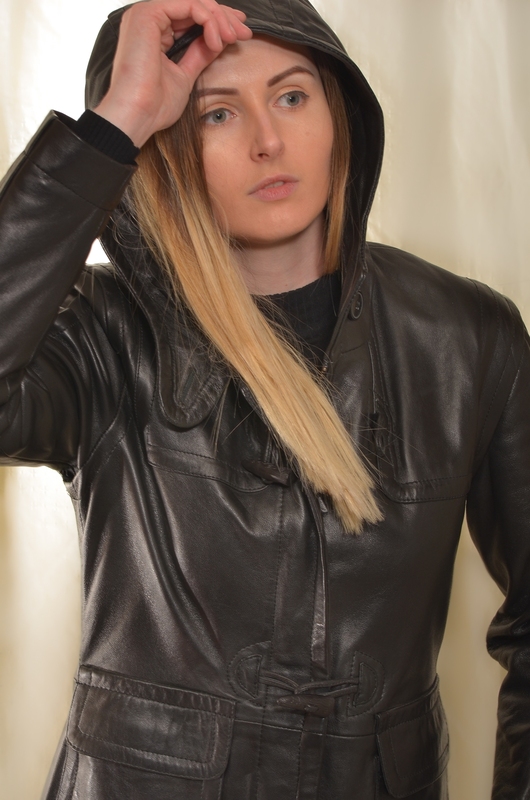 Small close fitting hood (picture to follow) for extra warmth, slimline fitted body, tailored sleeves with leather straps above wrists. Waist high patch pockets with leather flaps. 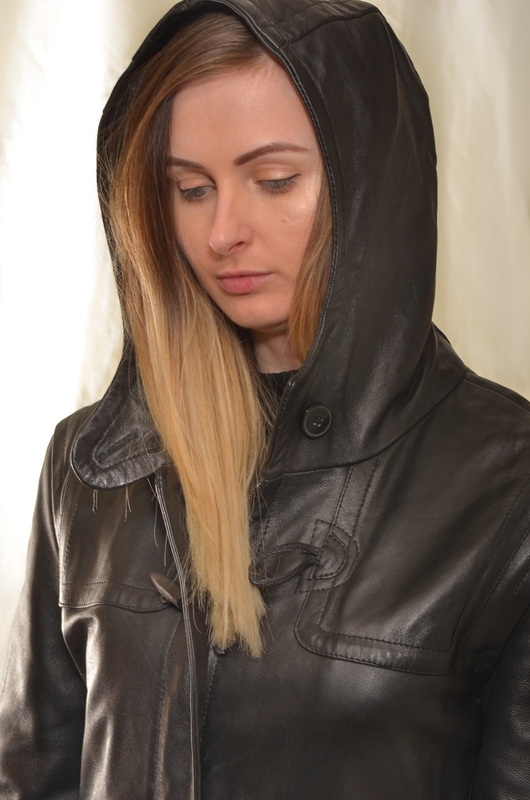 Body fastens with a strong metal zip plus toggles with leather loops..
Black Polyester lining with soft and warm inner thermal interling.